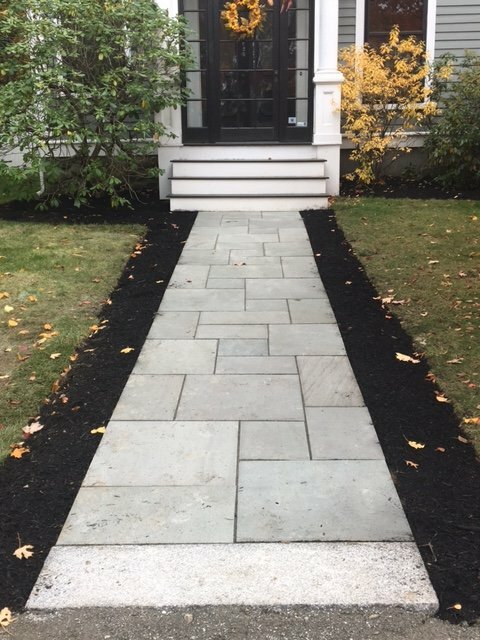 Landscaping Service Bedford MA | Concord Tree & Landscape LLC. We exist with the name of Concord Tree & Landscaping and our specialty lies in the deliverance of quality Bedford landscaping service. We plan ahead and then execute things systematically. This makes us genuine in the field of a plantation and perfect landscaping. We are here to offer you the list of landscaping service and provisions and you can be with us for the utmost beautification of the property. We will first take a look at the area that needs restoration. After completing with the initial repairing and cleaning we start with the main venture of plantation and renovation of the landscape. Working on the same for months of days will indeed change the shape of the garden. With the change of season, we take initiative in making the garden look new and fresh with the correct landscaping service Bedford. Here is a list of things that we usually do. We take to the plantation of the seasonal plants. We take the help of landscaping designers and architects for the natural decoration of the garden area. We take into account the common things which most people overlook in the refurbishing of the garden plot. We test the soil and use the right variety when planning for planting new trees, plants, and shrubs. There are more things we wish to do in the form of Bedford landscaping service. In case of gardening, we just don’t make a hole and put the plant inside. We plant the stem in the clay. This is just like putting the plant in the bathtub. The clay tub will hold the water and there is no unnecessary draining and perking. We let the plants live to the fullest without any suffocation. For the right growth of plants, we usually make use of the right soil. We have the expert agriculturist and the landscaper to do the testing and certify the quality of the soil. We at Concord are proud to deliver with the qualitative landscaping service. It is just the way we make the plants feel and grow. We also contribute to matters of soil preparation for the garden. This will leave scopes for future plantation. In case you are planning to rejuvenate your garden area and make the landscape turn impressive, you can call us at the earliest at Concord Tree & Landscaping.